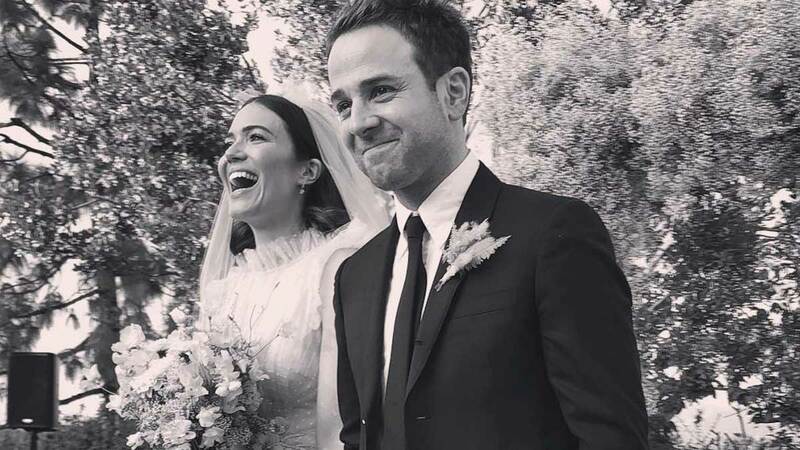 After a full day of speculation, Mandy Moore has finally revealed that she has in fact married partner Taylor Goldsmith in a beautiful autumn ceremony. The internet went into a spin this week as one of Mandy's guests posted—and then deleted—several photos from the wedding day onto Instagram. (That's gotta be awks if there was some kind of celeb social media ban, hey!). Anyway, Mandy herself decided to give us all what we wanted by posting—and leaving up, yay!—a black and white pic from the day. And don't the couple look beautiful? She also then posted a series of pictures of her, her new hubby, and their family and friends so that we could see the very pretty pink color of her gown. 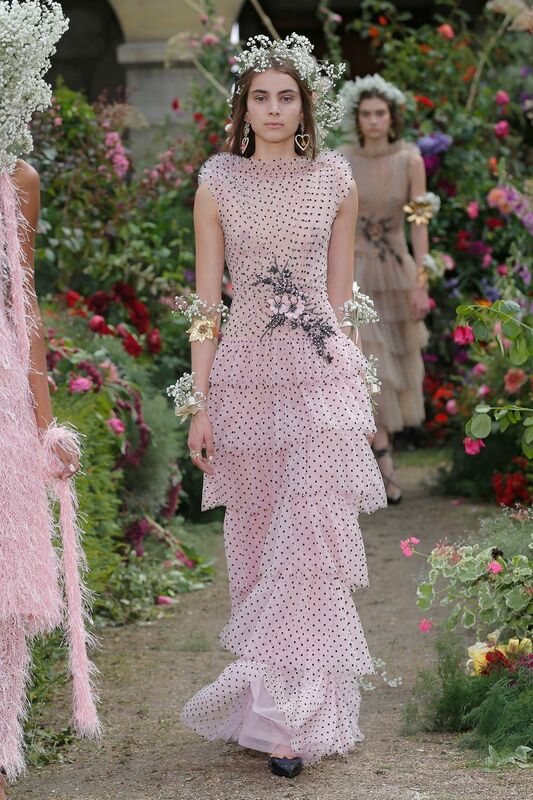 The gown, which featured a load of gorgeous tulle layers, and subtle polka dots in a shimmering metallic, was custom-made for Mandy by US designer Rodarte. Mandy wore her designer wedding dress with a very pale pink, single layer tulle veil, with delicate beading in her hair underneath. While a colorful gown is rather unusual in bridal terms, Mandy had previously warned us that she'd be unlikely to go down a traditional route. Earlier this year, she told People that she was "kind of confident that it's not going to be the stereotypical white wedding dress, because it just doesn't feel the most me." "It's going to probably be a little bit more non-traditional. I think the whole day will sort of feel a little bit more non-traditional, so the dress will sort of follow suit."